Green and red – perfect match! 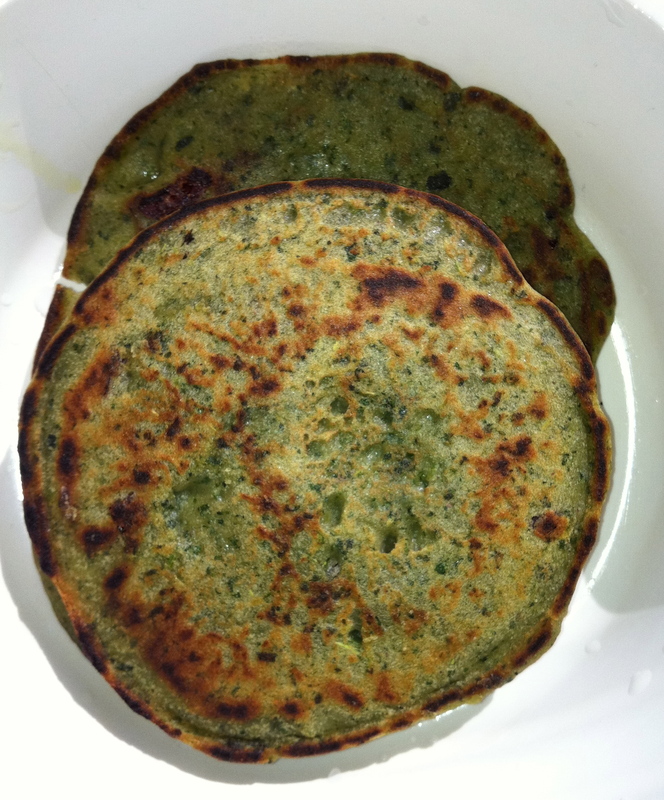 Make delicious spinach pancakes for a late night snack or expand it to a luxurious dinner with mashed potatoes and “wild salad”. These pancakes are healthy, including nothing useless – and easy to bake without eggs. The portion is a bit small for two people if there are no side dishes – one hungry person might wolf down them all at once. Use a half a litre bottle for mixing the dough. Put 1,5 dl water on the bottom and add all dry ingredients in small portions – shake well in between. Add some oil in it as well. Let the dough swell for about half an hour. It gets much thicker than normal pancake batter. You might want to add half a deciliter water. Baking is easier if you cover the Trangia lid with baking paper. Use plenty of butter. Shake the bottle well so that not all the cranberries are on the last pancake. Make small pancakes. There are ready to be flipped when the sides are little brown. This entry was posted in Baked / fried things, Festive, Little water, Snack and tagged buckwheat four, cranberry, soya flour, spinach. Bookmark the permalink.